Being an all-electric car it means there are fewer parts going to be used and worn out. The range on this electric car once fully charged is 93 miles, this will only cost you £2 in electricity (impressive!). Local Peugeot dealerships have charging stations which provide your iOn with a rapid charge; this can get your battery to roughly 80% in 30 minutes. A benefit for owning the Peugeot iOn is having no fuel charges, and no road tax charge - yes totally free! The Peugeot iOn is already known for being nippy and remarkably quick when out and about; the little electric car will deliver all that it can once your foot is on the accelerator making it easy to negotiate your way round the city centre. You will be able to feel a little extra weight due to the batteries (88-cell, 16kWh lithium) but because they’re mounted low, body roll will not be an issue. You will find that the brakes are powerful, since they’re assisted by the motor. Expect a smooth ride with the Peugeot iOn as it only has one gear, making your drive smoother than the best automatic gearboxes. Peugeot have got the interior and comfort on point with the new iOn because it is electric powered its very quiet making your journey even more relaxing, however you will hear a minimal tyre roar and high–pitched whirr from the motors when you build up speed. Peugeot’s design makes the iOn narrow but tall, ensuring plenty of headroom for adults, it also offers a great driving position and excellent visibility with the large windscreen. There is an additional option which you can add to your Peugeot iOn and that’s the cold package – this adds heated wing mirrors and a heated driver’s seat. The iOn offers a fast, fun and alternative to your everyday traditional car and it doesn’t stop there! The interior is exceptionally spacious. With optional luggage space and collapsing rear seating it gives you the ability to pack more into your iOn than you may think. The all-electric car can take those busy streets all in one stride with its top speed at 80mph and impressively it can go from 18mph to 37mph in just 3.5 seconds! 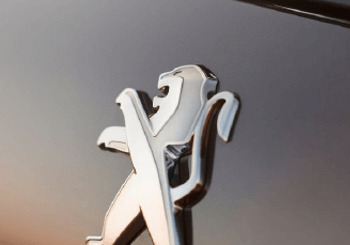 Peugeot has added an electronic stability control system to provide more safety features. The iOn offers 6 airbags and because the electric car is only powered by a simple motor with one single gear, there’s less things that could potentially go wrong in terms of the moving parts. Let’s not forget the iOn’s technology: the Peugeot Connect SOS – this automatically alerts emergency services if your airbags have inflated or the seatbelt pre-tensioners are activated. It tells them your exact location or you can contact them manually. It also gives you the option to bring road assistance to you whenever you may need them. The iOn also offers USB connectivity, a CD stereo, electric windows, remote central locking and lastly climate control. Here’s some good news, because the Peugeot iOn is an all-electric car it will also be included in the government’s £5000 electric car grant. The total amount of your grant will then be automatically deducted from the price of your iOn when purchased and the best thing yet is the dealership will complete all paperwork.